Implement complaint handling system process based on following principles. These rules refer to the processing of non-written (via telephone and walk in Customer) and written (via e-mail, fax post or otherwise) complaints to the Service Providers. all complaints will be recorded by the Service Providers. 2.1 It is recommended that Service Providers provide easily understood information about their complaint process in as many mediums and formats as possible. It is recommended that Service Providers take steps to ensure that Customers can easily identify where a complaint may be lodged within a Service Provider’s premise. The more specific reference to “customer service” or “complaints” is recommended in preference to “general inquiries”. 2.2 To ensure that Customers are not discouraged from making a complaint, Service Providers/ Service Providers should consider the provision of a toll free or local access number. Other alternatives for low cost access include e-mail, toll free/local call fax, mailing address or Internet webpage form. ensuring that Customers can be easily represented by their authorised representative in order to make a complaint, providing a means of authorisation can be easily established and verified. 3.2 In cases where Customers specifically request assistance in lodging complaints, Service Providers are encouraged to provide whatever assistance is reasonable. There may be a number of reasons for the request, e.g. language problems or physical disability. 4.1 Non-written complaints will be taken as acknowledged at the time the complaint was made. 4.2 Written complaints must be acknowledged within three (3) working days of receipt of the complaint. A Service Provider can elect to do this either verbally or in writing, unless the complainant specifies it to be verbal or written. 4.3 Wherever possible, Customers must be advised when they make a complaint, or within seven (7) working days, of receipt of the complaint of the complexity of the investigation and a timeframe for the possible final determination of the complaint. In the event that the complaint is a frivolous or vexatious one, the Customer shall be informed accordingly within seven (7) working days of receipt of the complaint and if dissatisfied the Customer shall have the further recourse specified in paragraph 6.1 below. 4.4 The timeframe for resolution of the complaint should in 90% of the complaints resolved within a timeframe not exceeding 15 business days and in 95% of the complaints resolved within a timeframe not exceeding 30 business days from the time of submission of all relevant supporting information or documents as requested by the Service Provider having regard to the nature of the complaint. 4.5 In certain cases (5% or less of all complaints received) it will not be possible for a complaint to be resolved within the thirty calendar (30) days timeframe due to the complexity or circumstances of the complaint. Regular updates must be provided to the customer in these circumstances and the complainant must be kept informed as to the complaint‘s progress and likely timeframe for finalisation. 4.6 Service Providers should provide the Customers with sufficient information to ensure that the Customers can effectively inquire on the progress of the complaint and be advised if this information changes. Such information may take the form of advising the Customer to quote the Customer’s name, telephone number, complaint reference number or other identifier in order to facilitate a timely and accurate response to the Customer on subsequent enquiries by them. 4.7 Where a Customer is not satisfied with a decision reached pursuant to a complaint lodge with a Service Provider, the Service Provider shall deal with that dissatisfaction in accordance with escalation process which each Service Provider must put in place. Where the escalation processes were already exhausted or where there are no further escalation processes, the Service Provider shall inform the Customer accordingly. 4.8 Customers must be advised of the outcome of the investigation of their complaint. This can be in a written format, if requested by the Customers. 4.9 In the event that it is not possible to resolve the complaint within 45 days or the Service Provider is of the opinion that the complaint cannot be resolved within 45 days, the Service Provider must inform the Customer accordingly and advise the Customer that he has a right to refer the complaint to the Consumer Forum. 4.10 This Code should be read in conjunction with the provisions in Determinations 1, 2, 3 and 4 of 2002 relating to Standard on General Customer Complaint Handling and Standard on Billing Performance. 5.1 Complaint handling processes should be provided free of charge. However, a Service Provider may impose a reasonable charge for complaint handling processes where investigation of a complaint requires the retrieval of extensive or archival (more than 1 year old) records. 6.1 In the event the Customer remains dissatisfied with the outcome of a complaint, the Service Provider must advise Customers of their external options for complaint handling, that is the Consumer Forum. 6.2 The Customer should also be informed by the Service Provider that it has the right to ultimately refer its complaint to the Commission. 7.1 A Service Provider must avoid taking any credit management action regarding the specific aspect of the service to which a complaint relates while the complaint is being investigated. The Service Provider should inform the Customer that while the complaint is being investigated, the Customer is obliged to make payment on any outstanding amount other than the disputed portion.Where it becomes necessary for a Service Provider to take credit management action against a Customer during the course of a complaint investigation on an outstanding amount, the Service Provider will notify the Customer. 8.1 Service Providers must have appropriate recording systems for complaints and their outcomes. 8.2 Data collected must be categorised and analysed by the Service Provider from time to time to allow for the identification of recurring problems. 8.3 Service Providers should inform the Customer that a record of their complaints is being kept. 9.1 Service Providers must review their complaint handling from time to time to ensure that it is delivering efficient processing of complaints. Any necessary amendments must be made to the complaint handling process on the basis of these reviews. 10.1 Service Providers must update any information regarding their complaint handling process to reflect any variations to the complaint handling process and must also inform and update the Consumer Forum accordingly. 11.1 Material collected and recorded throughout the complaint handling process is to be retained by Service Providers for a period of one (1) year following the resolution of a complaint. 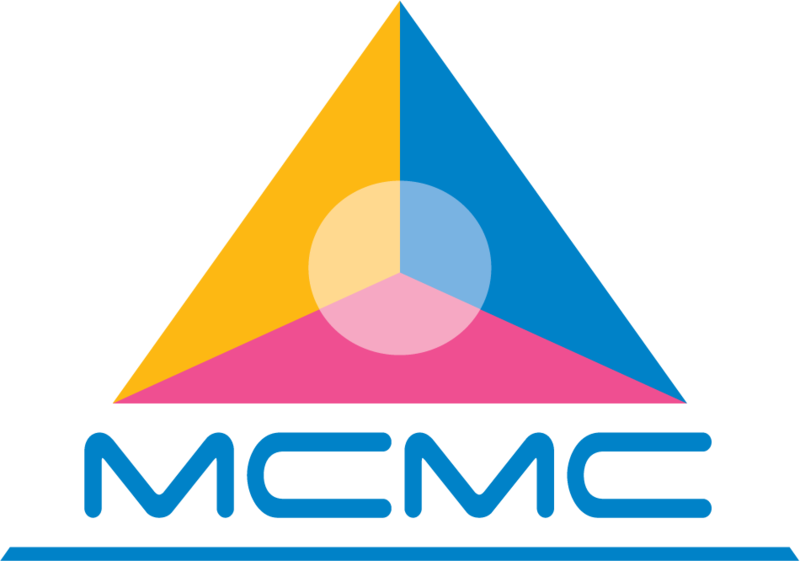 12.1 The MCMC may from time to time audit the complaints handling processes of the Service Providers and of the Consumer Forum.